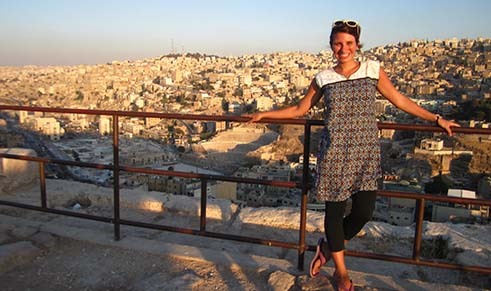 Begin your stay in the capital of the Hashemite kingdom of Jordan, Amman; it’s safe, friendly and up to date. No more than five hours’ drive from anywhere in the country, it is a convenient pace to base your tour. Gleaming white buildings in contemporary styles coexist with turn of the century villas, and trendy boutiques compete with richly colorful bazaars. A varied cuisine awaits you, as much as the Savory sweets and mezuzah of traditional Arabic restaurants. 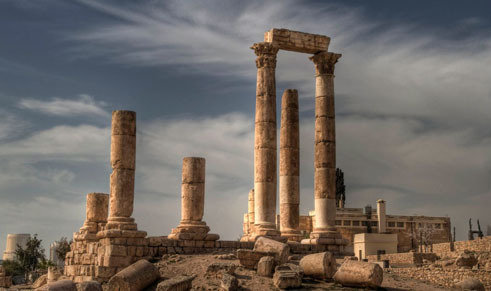 Add to this energetic mix the mystique of old Amman the Citadel and its defensive walls, the magnificent Roman Theater – and you have a tourist destination of unmatched appeal. 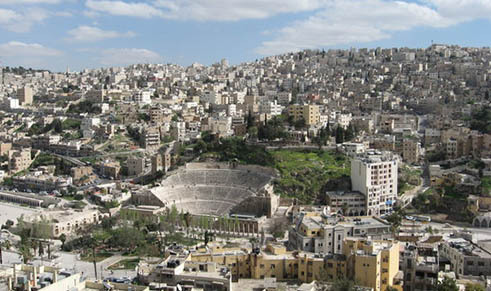 Amman is the modern and ancient capital of Jordan, formerly the Ammonite capital city of Rabbath – Ammon, and later the Geraeco Roman city called Philadelphia. Originally spread over seven hills like Rome, Ammon now covers at least nineteen hills. It is a city of contrasts, a mixture of ancient and modern. Often referred to as “the white city” Amman’s houses are built on many hillsides, and form a great canvas of overlapping beiges, ochres and whites. The outstanding whiteness is the result of the white stones of the country used in construction roughhewn, smooth or lightly veined, and even polished white marble. The city, with its population of over a million, is crowned by the Citadel, a hill with the ruins of the Temple of Hercules, and a museum with artifacts dating back to the earliest settlement in the region some 700,000 years ago. At the foot of the Citadel is the 5,000 seat Roman theater. 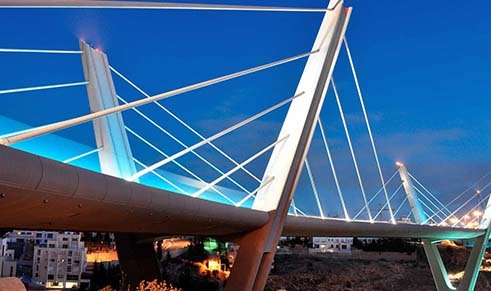 Still rapidly growing, Amman is a busy commercial and administrative center with many fine hotels, night clubs and discos as well as modern facilities for sporting events, conventions and conferences. There is a wide spectrum of restaurants to meet every taste, offering choices of food ranging from Arabic through a variety of international specialties and fast food. Experienced travel agents are on hand in all the hotels to handle every conceivable travel need. Amman’s Queen Alia International Airport is located south of the city and is served by taxi and bus transportation.